Detection limit for recombinant GST tagged ARRB2 is approximately 0.03ng/ml as a capture antibody. Proximity Ligation Analysis of protein-protein interactions between MAPK3 and ARRB2. 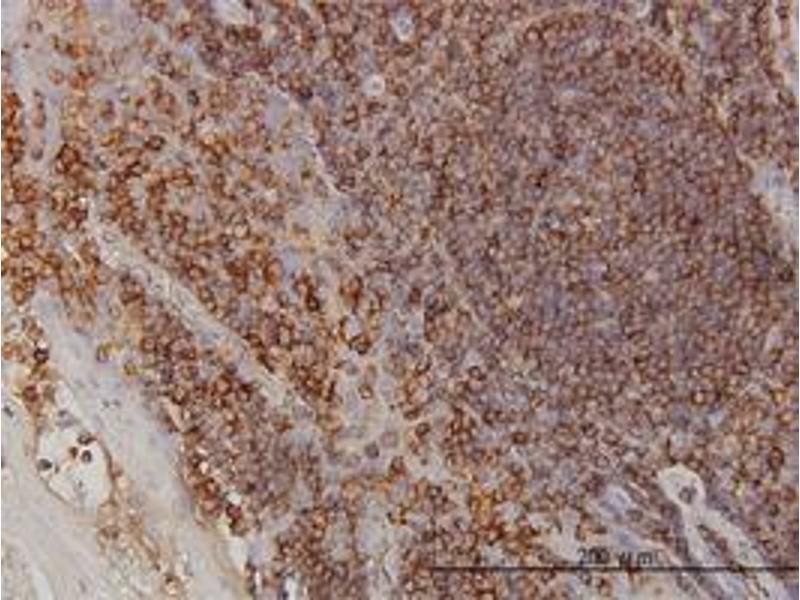 HeLa cells were stained with anti-MAPK3 rabbit purified polyclonal 1:1200 and anti-ARRB2 mouse monoclonal antibody 1:50. Each red dot represents the detection of protein-protein interaction complex, and nuclei were counterstained with DAPI (blue). 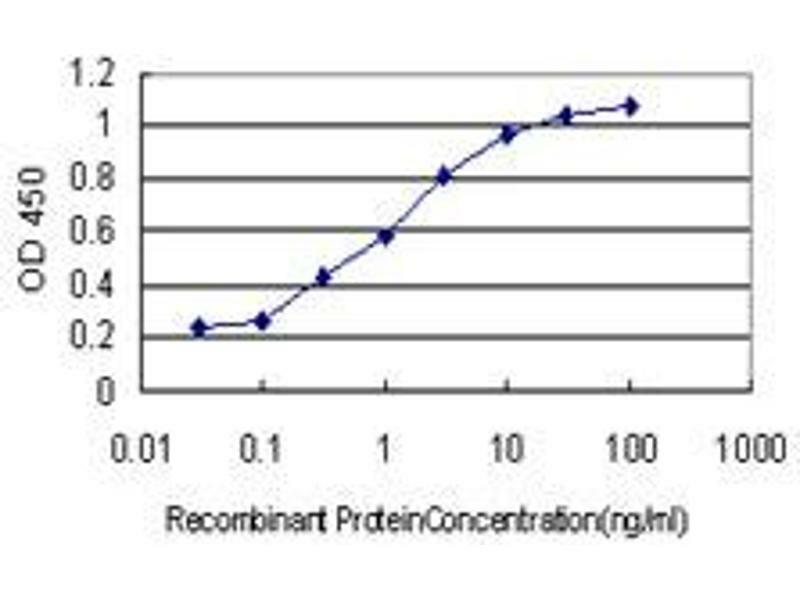 Spezifität ARRB2 (AAH07427, 300 a.a. ~ 410 a.a) partial recombinant protein with GST tag. MW of the GST tag alone is 26 KDa. 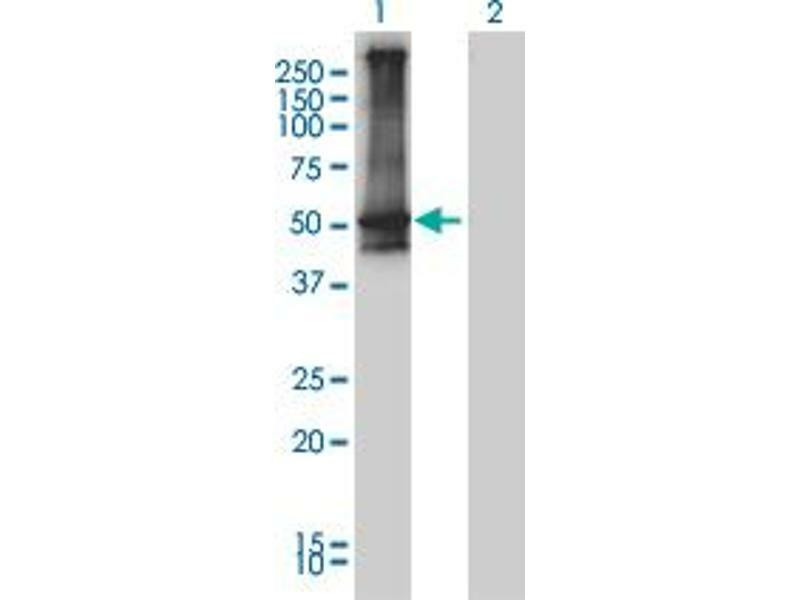 Reinigung This antibody is purified through a protein G column, eluted with high and low pH buffers and neutralized immediately, followed by dialysis against PBS. 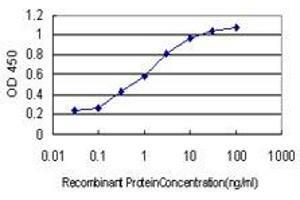 Target/Specificity: ARRB2 (AAH07427, 300 a.a. ~ 409 a.a) partial recombinant protein with GST tag. MW of the GST tag alone is 26 KDa. 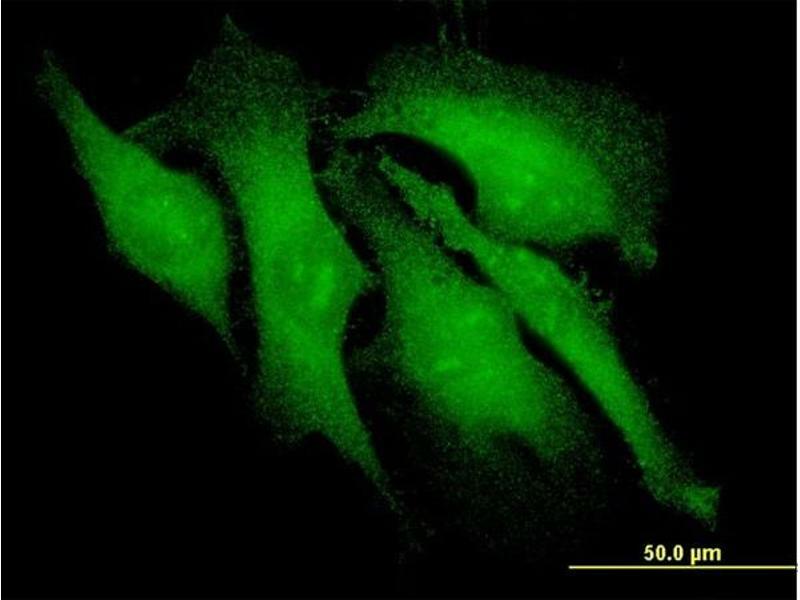 Background: Members of arrestin/beta-arrestin protein family are thought to participate in agonist-mediated desensitization of G-protein-coupled receptors and cause specific dampening of cellular responses to stimuli such as hormones, neurotransmitters, or sensory signals. 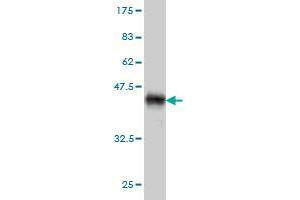 Arrestin beta 2, like arrestin beta 1, was shown to inhibit beta-adrenergic receptor function in vitro. 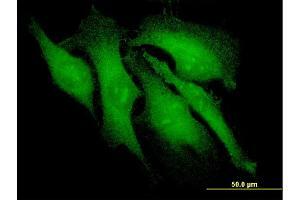 It is expressed at high levels in the central nervous system and may play a role in the regulation of synaptic receptors. 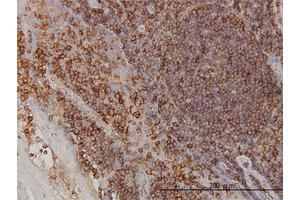 Besides the brain, a cDNA for arrestin beta 2 was isolated from thyroid gland, and thus it may also be involved in hormone-specific desensitization of TSH receptors. Multiple alternatively spliced transcript variants have been found for this gene, but the full-length nature of some variants has not been defined.